It's not your by-the-book Valentine's Day event, but your heart might just melt at this benefit show at Schubas Thursday night. Come out for the guitar-and-drum-fueled fury of White Mystery, and show your Valentine you Choo-Choo-Choose to rock. 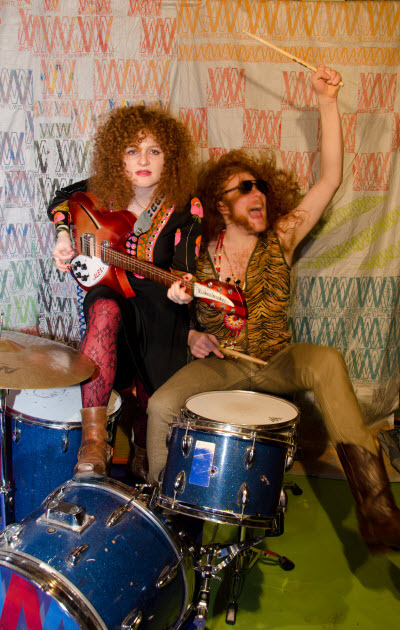 White Mystery will perform their ginger-haired brand of rock this Thursday fresh off of their European tour. And what better way to welcome this brother/sister team back to Chicago than with a rollicking show at Schubas on a February night? Forget all that lovey-dovey stuff, and let White Mystery warm your body from your ears on down. White Mystery will be joined by Absolutely Not, Twin Peax, and Post Honeymoon this Thursday, February 14, at Schubas, 3159 N. Southport Ave. Music begins at 9pm (18+). Tickets are $10 and proceeds benefit the Chris Saathoff Foundation.